Want to step up your serving game and take it to the next level, mastering the reverse serve isn’t a bad place to start! The reverse pendulum serve is an advanced skill and can take time to learn and be confident with, however its worth persevering with if you want to be a top server. Very few others serves give you the capability to vary and disguise the spin and placement with such subtlety, which is done by a slight difference in contact point and wrist position when striking the ball. There are a number of reasons behind why the reverse serve can be so effective is that, due to the direction of spin, it encourages more returns to the middle and backhand area as well as making quality returns to the forehand side a lot more challenging. If you use the reverse serve well players will find it more difficult to touch short to the forehand or play aggressively into this side of the table. 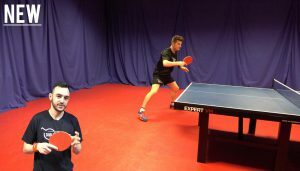 Also with many players now opting to return using the modern backhand flick the reverse serve can be an effective weapon in making this shot more difficult for your opponent. Players in general are more used to returning the standard pendulum serve so when coming up against a reverse serve the backhand flick as well as other types of returns are often weaker due to the difference in spin and disguise that can be achieved. Another major advantage of the reverse serve is that not a lot of people use it. This means when you use it your opponent may not be used to seeing this style of serve very often. So if you can develop a good reverse serve you can pick up a lot of cheap points. 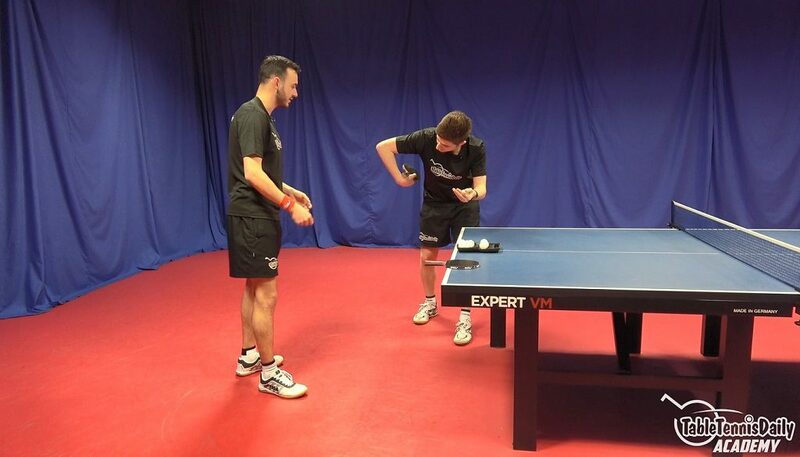 We have just released a full video tutorial on how to learn the reverse serve, so if you want to become an expert and take your serving game to the next level be sure to check it out along with our many other service videos! Caffeine – Friend or foe for table tennis players?